Lian X., Lackner M., de Hoog G. S., Gerrits van de Ende A. H. G., Priha O., Suihko M.-L., Houbraken J., Varga J., Samson R. A., Mälarstig B., Thompson P., Stott R. & Richardson M. D. (2011) Assessment of identity of filamentous fungi colonizing from water-damaged building materials. Growth of moulds in moisture-damaged buildings has various adverse health effects, such as allergic diseases. To protect the inhabitants being harmed by moulds or their toxins, indoor microbiota need to be investigated; therefore an efficient identification method is needed. To assess the diversity of fungi colonizing temporarily damp indoor building materials in northern European countries (Finland, Sweden, Denmark, and U.K.), 62 samples from 22 houses were taken. In total 234 pure cultures were acquired and identified using morphological and molecular techniques (sequence comparison of rDNA internal transcribed spacer and BT2 [partial b-tubulin]). Comparing CBS-database with GenBank by blasting ITS and BT2 sequences we found correct identification down to species level by GenBank in only 12.8 % and 16.0 %, respectively. GenBank is an inadequate tool for reliable identification of less common fungi. 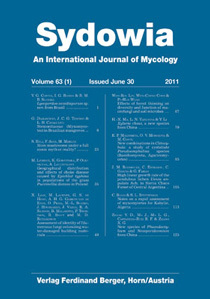 Final identification of fungi is based on internal databases at CBS validated by ex-type strains. Within all samples we identified strains affiliated to 43 species belonging to 20 genera. Predominant were oligotrophic fungi such as Penicillium, Aspergillus and Cladosporium; some may serve as indicator organisms for indoor moisture problems. Based on final identifications, species-specific probes were developed for fast identification of moulds in indoor environments.